• Note: Please use these Navigation buttons instead of your back button to jump between elements of your order. 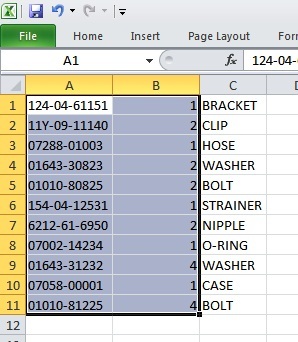 Separate P/N from Qty using an asterisk. (ie "P/N*Qty" or "Qty*P/N") or type P/Ns without Quantities for Qty=1. 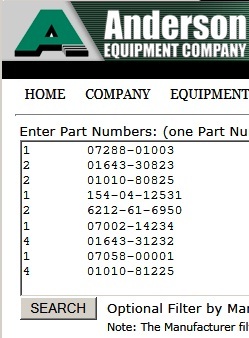 ONE Part Number per line. 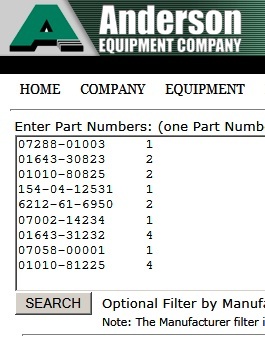 Quantity for each Part Number defaults to one. Quantity is separated from the Part Number with an Asterisk. 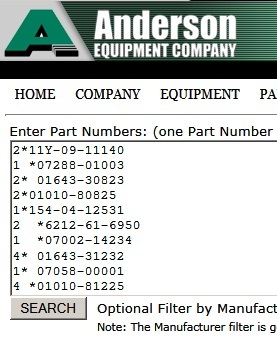 Quantity can be on the Left or Right of the Part Number. 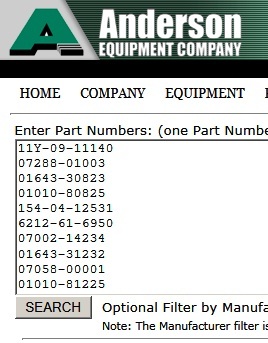 ONE Part Number with Quantity per line. 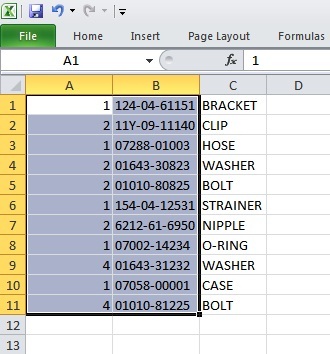 Two Columns only, Part Number and Quantity. Do not copy other columns. "Export" the Parts - this puts them in your computers "copy" buffer. Note: The Manufacturer filter is generally not necessary. Use it if you are getting too many false matches.